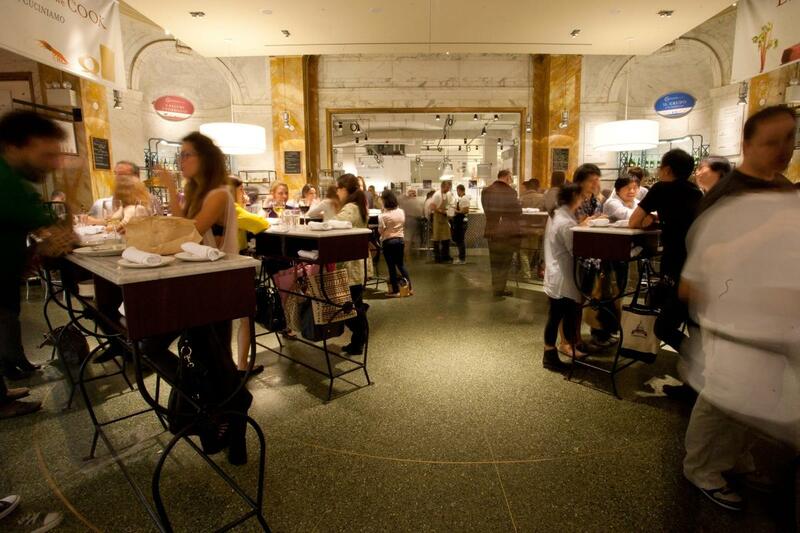 Located in the heart of the Italian-foods mecca Eataly, La Piazza is the marketplace’s enoteca. The rustic but refined space features marble bars and standing tables, where patrons can gather in a lively setting to enjoy selections such as house-made mozzarella paired with heirloom tomatoes, prosciutto and more; the piatto del giorno, a menu item that changes daily, is a hot sandwich served with soup or salad. Meat and cheese lovers will find excellent salumi and formaggi (like prosciutto de Parma, prosciutto di San Daniele and Grana Padano), and seafood fans will find fresh-caught fish and a daily selection of oysters.